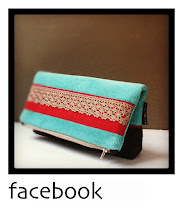 My Malina purse in deep fuchsia got featured today in a sellection of red hues and textures by Denise at DCHStudio. It's an honour to be selected from such a huge pool of amazing designs and I find it very interesting the way other other people see my work and it's potential to fit in their presentation. Clockwise from top left: a silver bird pendant by lulubugyewelry, a hair pin set by marievan, pleated linen clutch by yorktownroad and a wrist warmer by OlliesWoollies. 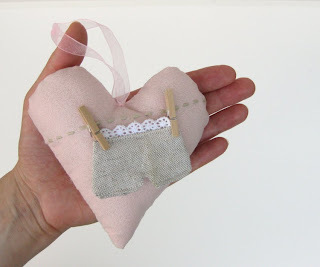 My It's a girl heart has been featured today on the Artsypreneur blog by the lovely Madge, who also runs a shop pixiedustprinkles on Etsy. 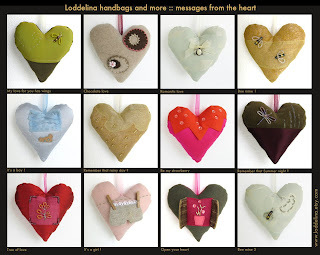 Her blog is full of inspirational finds and I'm honoured she picked a Loddelina item to feature. Thank you! 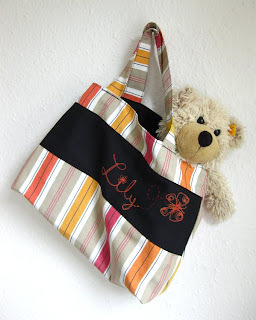 The small personalized tote bags I've made a while ago for Leoni and Michelle came out quite nicely so I used the same pattern to make one for my daughter. Lily and I go to toddler gym once a week for an hour of active play, climbing over obstacles, up the ladders, down the slildes... She will use her tote bag to carry her water bottle, her workout socks with non-sliding nubs, a change of nappies and a snack for afterwards. There might even be some room left for her teddy bear. 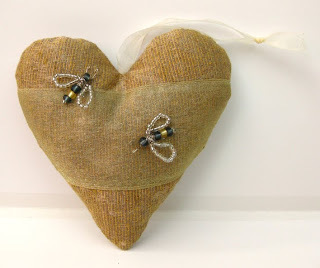 This evening I managed to list another couple of my hearts - this pushes the total number of items in my Etsy shop to 22 , so they flow over to the second page. 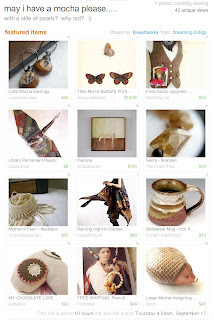 I've decided to offer free international shipping on all the items in my Etsy shop. Offer ends Sept 29th, so hurry up! 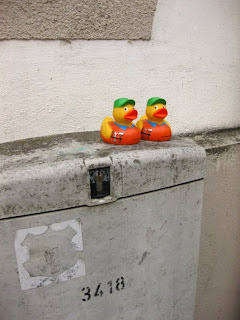 This morning, as I was stroller walking with Lily, we bumped into these two handyducks, sitting on top of a street lighting pole fuse box. 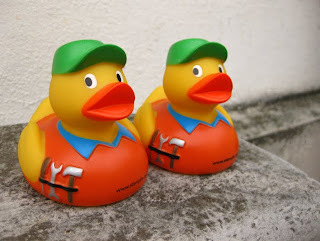 The twins looked a bit startled, perhaps it wasn't their coffee break yet and the boss wasn't supposed to know. 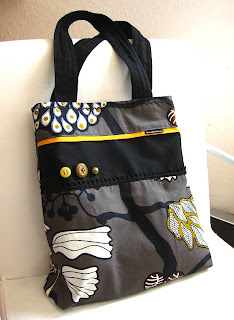 I've just listed my new city tote bag on Etsy. 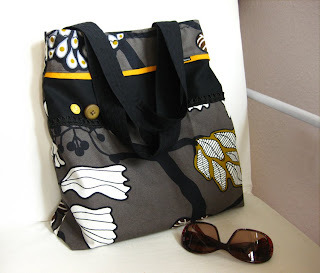 Ada is quite a roomy bag with comfortable shoulder straps long (or rather short) enough to be carried also as a handbag. By the way, did you know Germans call mobile (cell) phone a "handy"? Well, most of the times it is anything but that so I've sewn a big enough interior pocket on Ada to put all the gadgets safely inside. 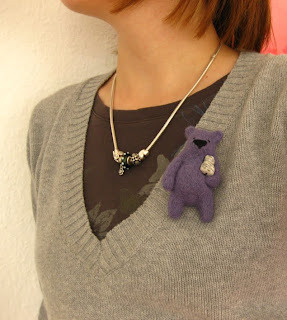 Wow, that was fast, my lavender bear brooche made by ememem arrived today from Ireland! 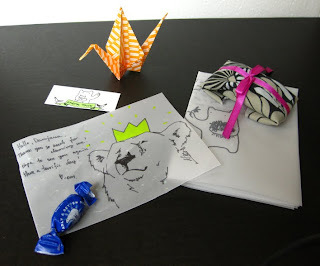 He is as amazing as I have expected and he came beautifully wrapped and accompanied with a thank-you note, a bear candy, an origami swan (to keep the cat company, I guess) and the story behind the bear, hand written and illustrated! Thank you so much, Emily, I shall wear it always! I love September, even it's rainy days, because they never last long and leave the air smelling of wet leaves. The trees still haven't turned gold and red yet but here on the edge of town pavements are full of beautiful horse chestnuts that fall down in their spikey light green cradles. The European horse chestnuts (Aesculus hippocastanum) are not edible like their forest cousins, European sweet chestnuts (Castanea sativa). The nuts of these trees, also called Spanish chestnutst, are smaller and look like squirrel's ears with little hairs on top. 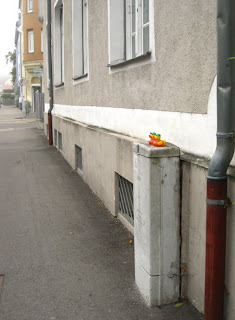 In Europe, autumn is the time for selling roasted chestnuts in the streets, and towns (like my hometown Ljubljana) are full of little wooden huts, where vendors keep themselves warm by poking the coals in their tin ovens and spend their days folding paper cups and making horizontal cuts in nuts, so the shell opens wide once they are done. 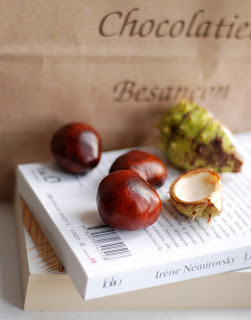 I used to love picking chestnuts in the woods and eating them roasted or cooked, allthough the most delicious, and the largest chestnuts that are also sold in the streets of Europe, are called maroni and come from Italy. They even have their own Facebook page, if you can believe that! I was browsing through Etsy Treasury lists, promising myself the next one I open will definitely be the last one and then I'm off to bed (as if...), when I came across this wonderfully weird collection of bear brooches by ememem! Looking at the picture you can see their different colours and personalities but wait 'till you've read the story behind the bear, each more amusing than the next. 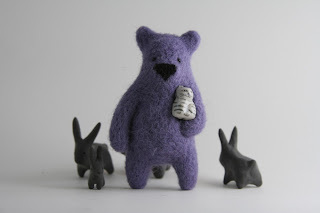 I had to have one so I quickly snatched this lavender bear, carrying a cat (don't ask). 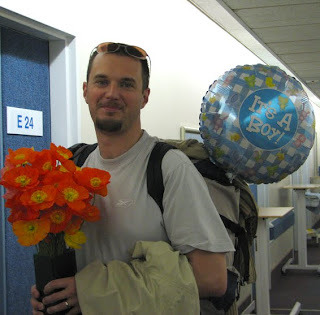 I can't wait to meet him in person! 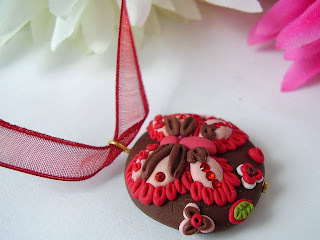 It is a cold and rainy day but I don't mind because I've just read the message from Amy at adornbyamysingley that she included my Chocolate love heart in her Treasury West called The blushing desert! 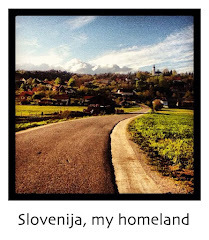 The title made me think of the movie English patient - I love the soft colours and different textures, some names are already among my favourites , like shecological and tortillagirl, and some I have jet to discover. 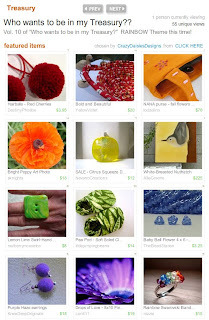 Amy herself makes beautiful jewelry, lampwork glass beads and other delicate creations. Thank you! When Gaston left his nanny or Tagesmutter, as Germans call it (meaning "daytime mother"), he got some beautiful going away presents from all of her family, like a photo album of the months spent in their home and a handpainted callender, mostly done by his two "daytime sisters", nanny's 3 and 8 -year old daughters, who were very fond of him. 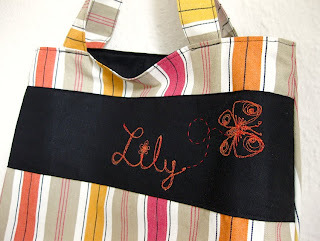 I wanted to give something to the girls to thank them for their love and so I've embroided their names (thanks to my new machine embroidery foot, see previous posts) and sewed it into small tote bags, just large enough to carry around some books, toys or crafting materials. 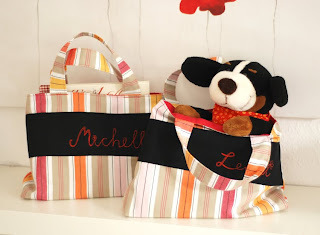 The totes are 30 cm (almost 12 inch) wide and 22 cm (8.5 inch) tall, with a T-shaped bottom seam of 10 cm (4 inch) and handles measuring 35.5 cm (14 inch) from end to end. I have lined this beautiful striped canvas with bright red cotton and I think the black stripe with red embroidery gives it a nice touch. 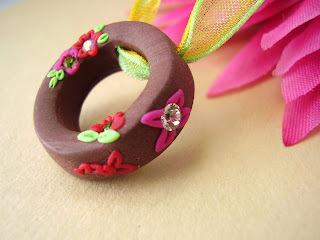 Last night, after the children were in bed (my peak working hours...), I was flipping through some new Treasury lists and came across this one by CrazyDaisiesDesigns, still fresh and empty, inviting us to propose our most colourful designs for her rainbow theme. Before I was off to bed she had almost finished her sellection and I was lucky enough to be selected. 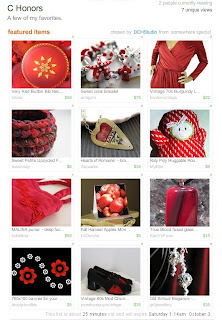 Thank you for making such lively Treasury, full of all the essential vitamins for Winter! 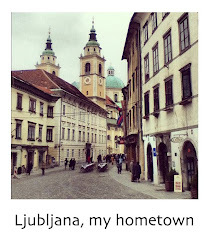 Some of you have noticed the very busy lady on the side of my blog, vacuuming her days away when she would rather be blogging. 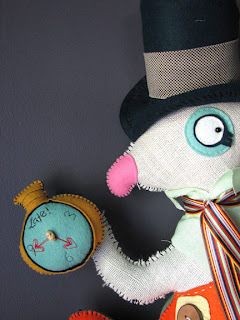 The funny gif animation was made by very talented Cathe Holden at Just something I made blog. 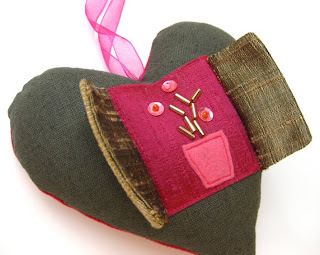 Check it out as it is full of great crafting ideas and tutorials! 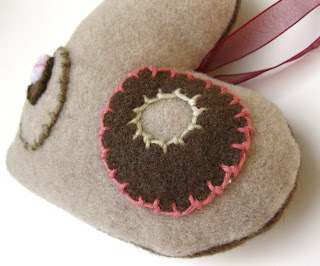 I just got a message from Kristin at loveartworks - she has included my Chocolate love heart in her lovely mocca inspired Treasury. 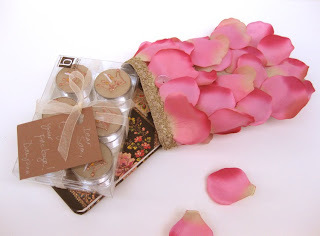 I love the way she put together so many beautiful shades of brown and interesting textures. Kristin makes very colourful painted pottery with unique illustrations. Thanks again! 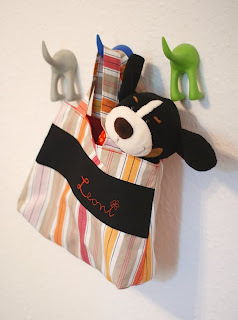 I was just finishing my afternoon latte macchiato when I got a convo from Maykela, letting me know she included my orange Nana purse in her Treasury! Just as I was cropping the screen print picture to post the great news on my blog, another message dropped in my conversation box, this time from Fallon, the creative soul behind Olive, letting me know that my It's a girl heart made it to the Front Page - my very first! 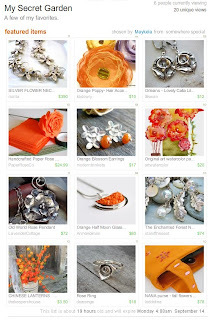 The Treasury called My secret garden is a stunning composition of burning hot orange and cool silver, selected by Maykela, who makes beautiful jewelry with precious and semi precious stones. 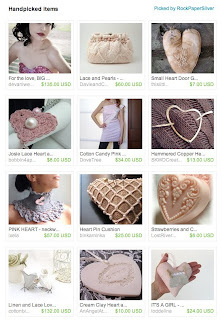 Front page, entitled Laced with LOVE and selected by a very romantic shop RockPaper Silver, is a delicate sellection of soft gray, pale pink and cream colours, many of the items featuring a heart shape. So much LOVE! 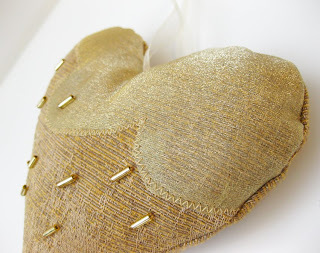 This evening I finally got a chance to try out the new embroidery foot I bought for my Bernina. 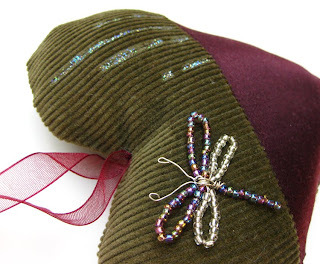 It is in fact a darning foot No. 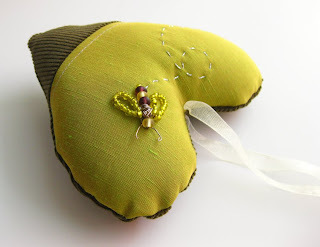 9 but it works very well for free machine embroidery. 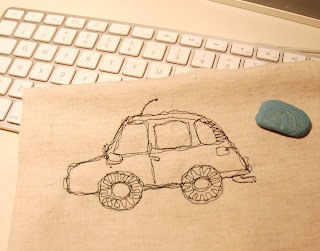 I've always admired these delicate drawings with thread and have decided to try it myself. 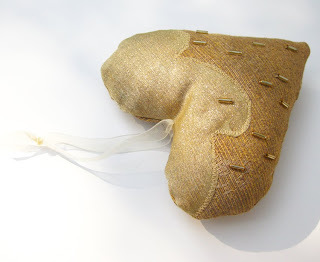 My son has entered Kindergarten last week and this difficult acclimatization period doesn't leave me much time to sew. 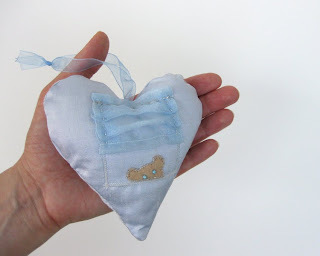 I'm also a bit behind on listing my hearts - I have decided to list a couple a day to stretch the surfacing period on Etsy as long as possible, so here are two new ones at last: they were made for welcoming the arrival of a baby girl or a boy. Ada is a roomy everyday tote, 38 cm (15 inch) high, 33 cm (13 inch) wide with a 9 cm (3,5 inch) wide T-shapped bottom seam and two shoulder straps, 55 cm (21,5 inch) long from end to end. It is made of middle weight printed Scandinavian canvas (yeah, Ikea) lined with black light weight cotton fabric and has one interior pocket. 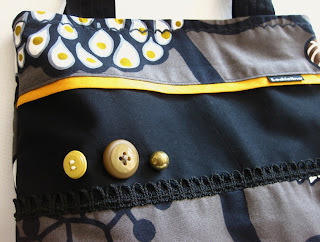 The front is adorned with some trims and three vintage buttons. 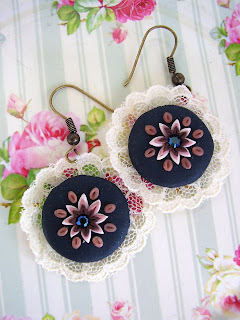 Here are a few gems I found on Etsy, very colourful jewellery pieces by Momochas. 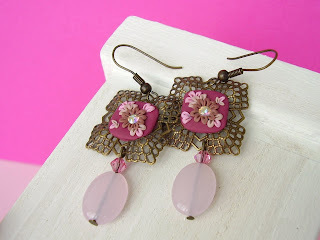 Ana gives the material a new dimension, pairing her polymer clay with lace, ribbons, swarovski crystals, beads and brass filigree base. 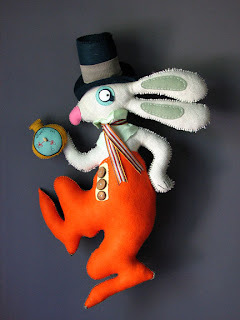 This nervous rabbit by wonderfully talented Heather Louise made my day yesterday as I was struggling to tick off at least two thirds of the items on my ever expanding to-do list. 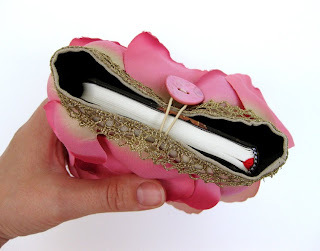 Can you believe Heather Louise sews all her dolls entirely by hand? 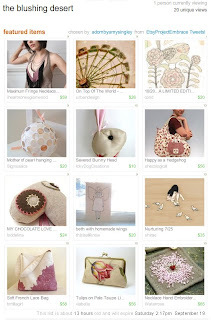 Check out some more of the wacky bunch at her Etsy shop Milkrun or visit her, as she calls it, petting ZOO at The Doll Farm blog. A follow up picture of my Lovely package exchange contribution - the inside of the package. Since Sam told me she loves candles I included a pack of small tea candles with golden crown design (Sam is from UK so it seemd appropriate). She also mentioned she likes anything with a flowery pattern so I bought a Paperblanks pocket journal - not a handmade product but I love these journals and their beautiful cover designs with very high quality paper. I use them myself to write my children's journals because I want them to be able to read about their childhood when they themselves become parents. 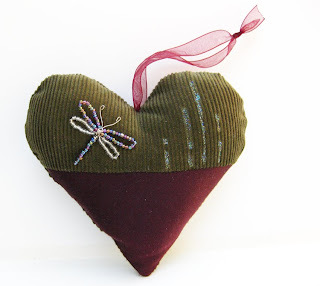 Today I have listed first three of my new line of designs, decorative "Messages from the heart". 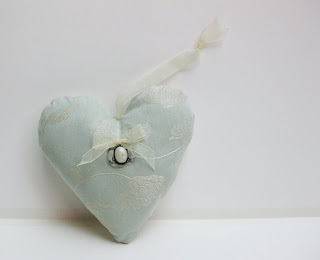 I have made these fabric hearts a while ago but have only now gotten a chance to put them on Etsy. 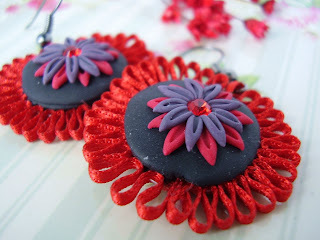 They are made of my finest materials, decorated with beads, beaded wire ornaments, applique and embroidery. Just big enough to hang on your door knob, above your desk or on the corner of the bathroom mirror (approx. 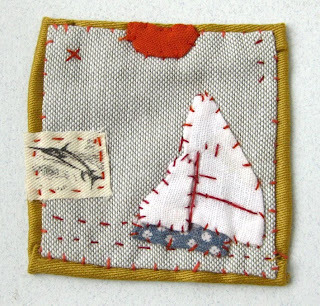 12 x 12 cm, 5 x5 inch) - so it can make you smile each time you look at it.